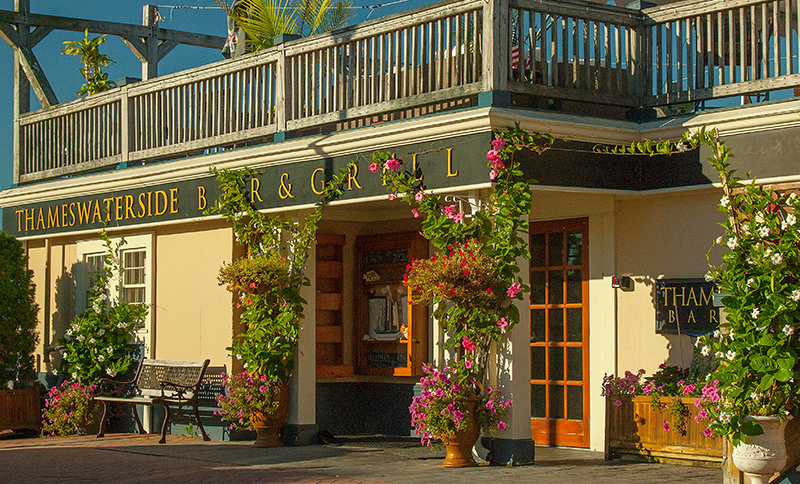 Located at Bristol Harbor Landing with numerous restaurants and shops, our boutique hotel is steps from the incredible dining and nightlife along Bristol's historic waterfront. Start each day with freshly-baked pastries and gourmet coffee or imported tea at Empire Tea and Coffee. Enjoy contemporary American fare and fresh seafood at DeWolf Tavern, right next door. With fireside dining and stunning Bristol Harbor views, DeWolf Tavern's upstairs is the perfect setting for a romantic night out. Or, indulge with seafood fra diavolo and a refreshing cocktail at Thames Waterside Grill, offering stunning sunset views over Narragansett Bay. 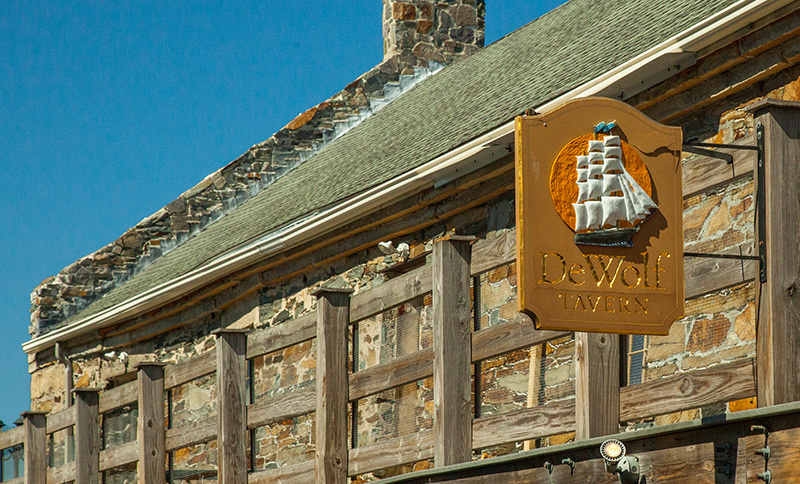 Located adjacent to our hotel, DeWolf Tavern is the perfect place to enjoy a night out. For a romantic evening, enjoy contemporary American fare with a glass of wine dining by the fireplace upstairs. Or, listen to live music while sampling a regional beer in the downstairs tavern, a renovated stone warehouse with a rustic, casual atmosphere. Serving traditional American fare and fresh, Italian-influenced seafood dishes, Thames Waterside Grill is the perfect place to unwind with an excellent meal, casual conversation, and a refreshing cocktail. Open for breakfast, lunch, and dinner, the popular grill on the waterfront also regularly treats diners to beautiful harbor sunsets. 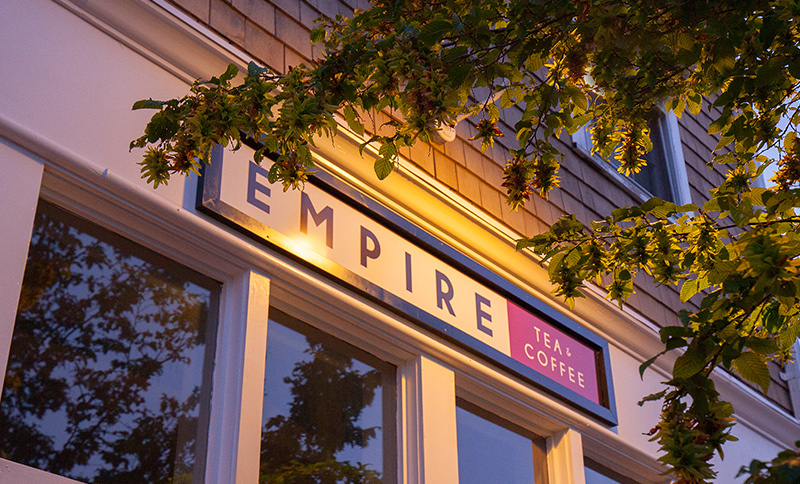 Start each day with a fresh, gourmet coffee or specialty tea by visiting Empire Tea & Coffee, a popular Rhode Island chain. Located on-site, the boutique cafe also serves fresh pastries and breakfast sandwiches. Grab something to-go and enjoy a gourmet coffee with a freshly-baked muffin while taking a morning walk along the harbor's waterfront.